Show me your business model and I’ll tell you who you are. This is true for almost every company but it is especially crucial when it comes to technology, or in this case - the web. So it might be good question to ask who pays for your free access to different types of services and content? As the web moved from subscription to the ‘free’ access business model in early 2000s, the digital advertising industry started to become one of its main economical sources. Mostly it was done with a little known technology called cookies. This technology, which the advertising industry likes to call ‘just plain text’, is automatically sent from a website you visit to your computer. But as I have argued, cookies have revolutionised the web by creating a past to your actions; it started to remember everything you do online. Cookies communicate the things you do online with either the specific website you typed on the address bar (aka, first party cookies), or with other companies which are usually facilitated by advertising networks (aka, third party cookies). Such advertising organisations, whether ‘first’ or ‘third’, decide the types of topics the cookies will communicate on you. In other words - You become the message, the product, the currency to be traded. You pay for your ‘free’ online experience with yourself, with your data, in a default automatic way, usually without your knowledge or consent. Since the very beginning of cookies, people objected their opaque operation. In fact, David Kristol and Lou Montulli (an employee at Netscape Communication who developed cookies technology in the mid 1990s) who were drafting the cookie standard for the internet standard organisation - The Internet Engineering Task Force (IETF) - recommended the rejection of third party cookies and that people will have a visual display of what happens in the ‘back-end’. The digital advertising industry along with the two dominant browsers of that time - Netscape and Internet Explorer - however, thought otherwise and did not implement these recommendations in their browser default settings. Their ability to reject and ignore standards while applying their own, emphasises their powerful position in internet governance. This was part of a larger campaign led by the advertising industry who lobbied both internet standards organisations, such as the IETF, and governments to promote cookies as a necessary way to fund the web. But this ‘free’ business model, where people are the product, is being challenged these days. It highlights the battle between different actors on deciding how the internet can and should function. A battle where Western countries have little power since they promoted privatisation and deregulation to govern the telecommunication sector. Apple’s move to block third party cookies with its new iOS 11 last week is another step towards a discussion that few want to have, mainly because it will shake the current status quo - Who funds the internet? Who decides and applies internet standards? What choice(s) do people have when using the internet? And how do we govern all of this? So far, many of these decisions were made in the default settings of technologies such as browsers. This is exactly what Apple is doing with its new technology it integrated in its iOS11 called Intelligent Tracking Prevention. This machine learning model is supposed to identify which cookies are not desired by users and block them accordingly. Does that mean that Apple finally cares about how people want to use its technologies? Not quite. In fact, it is a direct continuation of the famous quote of their former founder and CEO Steve Jobs who said that “people don't know what they want until you show it to them”. And Apple has been showing people what they want with their notorious closed design, which does not allow people to tinker or modify it according to what they desire. Whether Apple will have agreements with specific companies to bypass this blocking system, like AdBlock Plus' 'acceptable ads' or 'whitelists', is not yet clear. What is clear is that Apple sets a new standard to the way the internet functions to people who use its technology. It operates as a gatekeeper to access content and services on the web, and uses Silicon Valley’s argument of design through 'intelligent automated' machines to make decisions for people. As we have seen with Facebook and Google, machine learning and algorithms are instructed and operated by humans in various ways and parts of the decision making process. But presenting them as merely automated procedures, their rationale becomes opaque and unaccountable. 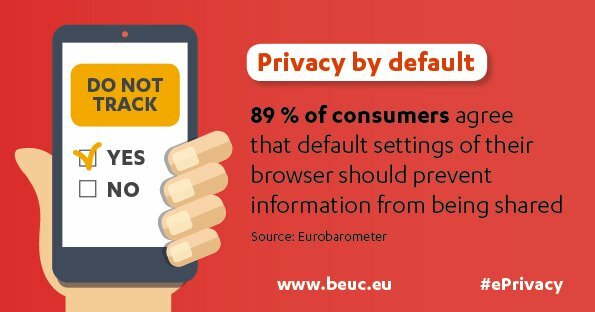 Source - Beuc - The European Consumer Organisation. The digital advertising industry is furious about Apple’s move, as it argues that "machine-driven cookie choices do not represent user choice; they represent browser-manufacturer choice". As they argue in their open letter responding to Apple's iOS11, such a move goes against the way the web infrastructure operates today. The web mainly functions by cookies which remember your previous behaviour to tailor specific ads and content to the profile they created on you. As they argue, Apple’s blocking technology “breaks those standards and replaces them with an amorphous set of shifting rules that will hurt the user experience and sabotage the economic model for the Internet”. It seems like everyone is talking about the users’ choice, but all the options that are provided in practice are automated or presented as a default. The advertising industry had no problem with this until it hurt its business model. What the advertising industry also neglects to mention is that, as I show in my latest article, they have been lobbying both the European Commission as well as internet standards organisations such as the IETF to favor their problematic practice and turn cookies into the (necessary) standard. The ‘choice’ was always between one default setting and another. Importantly, the advertising industry tries to narrow the discussion about how the internet can and should function into one narrative - Mandatory cookies and personalisation. But if people were able to see what happens at the back end, for example by examining Share Lab project of mapping the invisible infrastructure of online trackers (mostly cookies) - Their understanding and therefore opinions of online experience might change. In fact, as the Eurobarometer has been showing for years, people do want privacy settings by design, they do want to be regularly informed by updates about how their information is used, and they do want their information to be encrypted. But why listen to people when you can use machine learning ‘intelligence’ to tell you what you really want? Regulators, especially in the European Union, want to circumvent such practices by trying to force companies to have a ‘privacy by design’ default setting, instead of the current one which spies and exploits people without their knowledge. The e-Privacy Regulation tries to put forward a law to tackle this issue. In the draft published on 10 January 2017, the European Commission suggests that “[u]pon installation, the software shall inform the end-user about the privacy settings options and, to continue with the installation, require the end-user to consent to a setting” (Article 10). On 8 September 2017, the European Union Council’s published their draft of the proposed e-Privacy Regulation suggesting even further clarification in relation to Article 10 (commonly called 'privacy by design' Article). They suggest that third party will not only mean third-party cookies but 'any other parties than the end-user', and that people would be able to change easily the settings selected in the default settings. As digital rights NGOs, such as EDRi and La Quadrature try to show, there are other ways for the web to functions. Technology default design and standards are ways to construct power relations; they shape our minds and actions. We might call such deceptive practices dark patterns which are interface designs meant to trick people into actions they did not necessarily want or were not aware they were doing. The problem is, when most of the websites, services and apps are designed in such patterns, the standard becomes very dark. So although each tech company is designing in different shades of darkness, it is still hard to see the light - can we experience the web differently? There is more than one answer to this, and to break the single narrative, the single business model that has been dominating the web so far, we have to start using our imagination. We have to imagine different futures for the web in order to offer choices where we are not the product.